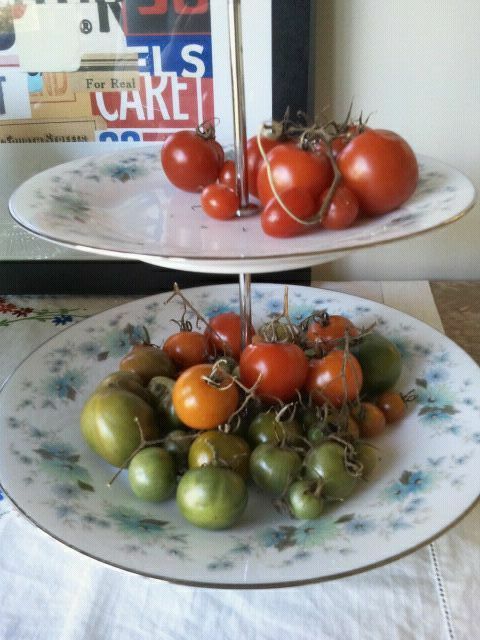 Even though I ran away to New York for the summer, I came home to a good yield of my home grown Heirloom tomatoes. 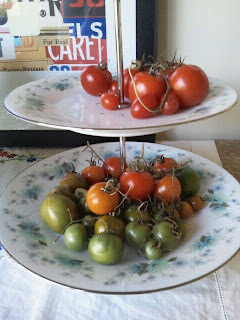 I have to admit, I didn't have so much luck with the larger Beefsteak and Moneymaker varieties, but the small cherry and plum tomatoes proved to be more successful, abundant and less prone to their skins splitting. (If anyone knows what causes this, I would love to know). I have planted out some Roma tomatoes which will hopefully give me a crop for early Summer so this is something to look forward to! I just finished reading a lovely book, 'A Homemade Life' by Molly Wizenberg. Anyone who likes food, or likes to eat should read this memoir. I won't give the story away, I happened upon it through a recommendation in my Amazon.com list so purchased it blindly without knowing anything about the story and I must say, loved it. In this recipe, Molly uses 2 medium fennel bulbs, 4 cloves of garlic and 2 teaspoons of fennel seeds. I tweaked it as I was a little scared of these amounts but if you would like to stay true to her recipe, go by those quantities, otherwise go with mine. In a large saucepan or Dutch oven, warm oil. Add onion and fennel and cook until the onion begins to soften. Add garlic and cook, being careful that it doesn't burn for about 5 minutes over a medium heat. Add thyme and fennel seeds and cook for around 2 minutes or until fragrant. 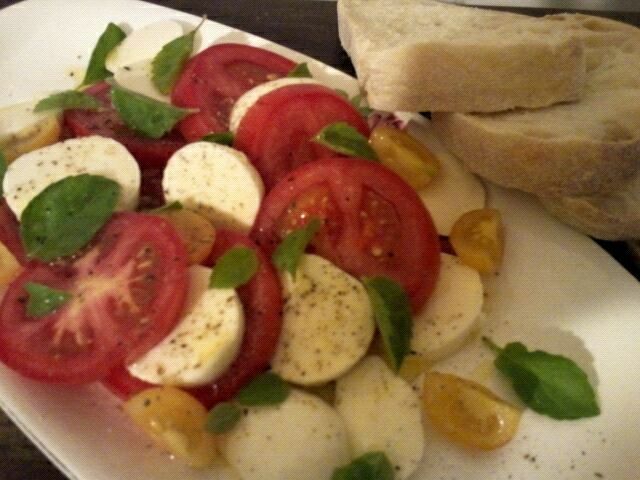 Add tomatoes, and crush them with the back of a wooden spoon (or alternatively a potato masher). Add a cans worth of water and bring the soup to the boil. Bring down the heat to a gentle simmer and cook uncovered for about 45 minutes. If it seems a little thick, add more water. You will know the soup is cooked when the fennel is nice and tender. Season to taste. Adding a pinch of sugar will cut the acidity and add a nice sweetness. Molly says to add a splash of red wine vinegar if the soup tastes a little bland, but I didn't find this necessary. 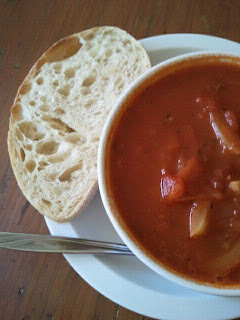 Remember this dish is more like a vegetarian stew, rather than a soup and makes enough to serve four.